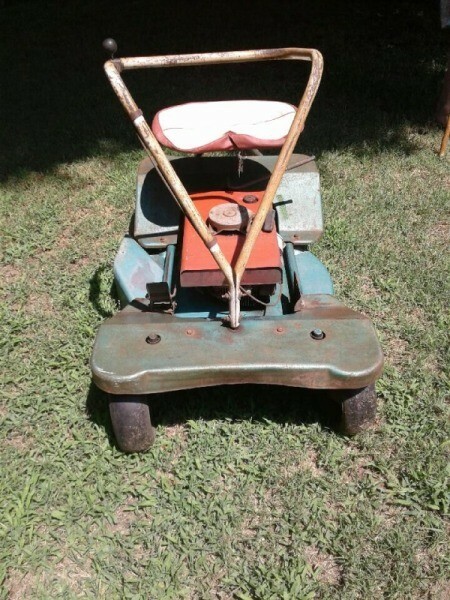 Is this old riding lawn mower worth anything? It is from Sears and Roebuck, from the 1940s! Model#131 8100. This is a great mower and it looks like it is in fairly good shape. In the past, you could find a few of these models on different lawn mower forums and people were asking $300 to $600 dollars depending on the condition of the mower. If your mower is running and in good condition, you can more than likely sell it for around $300. The ones they sold for $600 were in excellent condition and had the paint restored along with some other parts to make it look almost new. Thank you so much for your information! Its greatly appreciated. This could be worth more than $300 if you find the right collector. Collectors do not always care if it is running as they usually redo everything themselves. Finding the right collector will be the problem. It may take a while. You can check vintage mowers on eBay (you will not find one like yours or probably even similar) but you can see what people are asking for their vintage mowers. Asking prices do not usually mean the items are selling for those prices but it does show what is for sale. Then you can check the mowers that actually sold on eBay over the past several months to compare the differences. 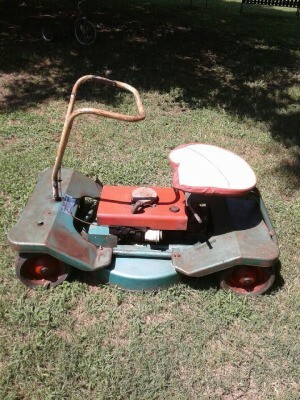 You will rarely see a mower sell for even several hundred dollars. Some of these mowers will be in very good condition but a true vintage mower can still bring good money but it may take a long time before it will sell. Some sellers leave things like this up for sale for q year, hoping the right collector will see it and of course want it. One of the main thing you should notice is that eBay listings have "local pick up only" which means that mowers that sold were bought by someone in the same area as the seller. Usually, living in a large metropolis has a big advantage because you have more people looking/searching than in a small city area so that also usually means you can ask more money. There are a couple of places that you might ask your questions and submit your pictures and find out a little more about your mower (always a good thing). You may have to become a member to be able to ask your questions but that is usually free so not a problem. You should also check your local and national Craigslist for any similar mowers. If you ever decide to list your mower for sale, you should set a high price and list it on several sites (just be sure to close it out on sites - if you sell it). 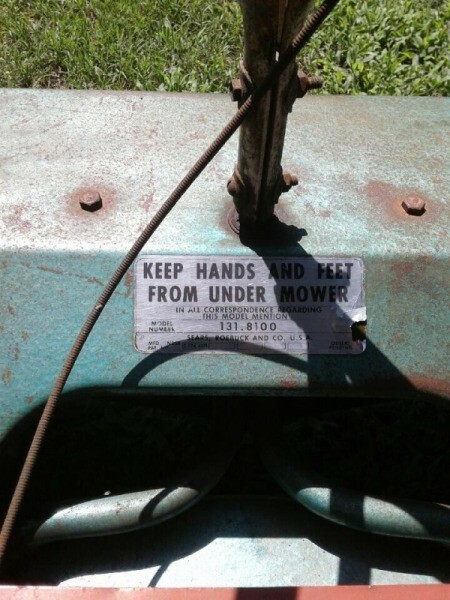 Hope you can find more information about the value but this is just something that no one can really tell you that is not familiar with vintage mowers. Good luck - hope it is worth a bundle!